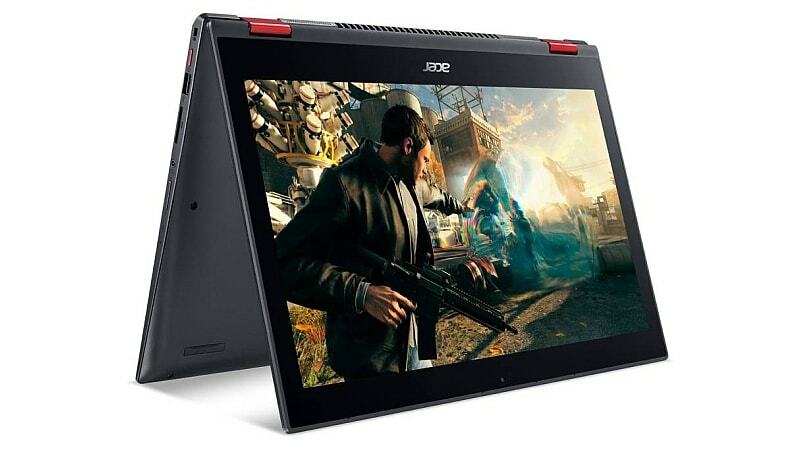 Taiwanese company, Acer has launched the Nitro 5 Spin convertible gaming laptop in Indian market. It is now available at Rs 79,990 through Flipkart, leading retail stores and Acer exclusive stores. The Acer Nitro 5 Spin laptop offers a 15.6-inch full-HD with a resolution of 1920×1080 pixels IPS LED-backlit display and touchscreen functionability. It is equipped with eighth generation Intel Core i7-855OU or Core i5-825OU processors with 8GB of DDR4 RAM. It has also an Nvidia GeForce GTX 1050 graphics cars with 4GB GDDR5 VRAM. The device also offers 1TB HDD or 256GB SSD and 1TB HDD storage for options. The Intel Core i7 has storage of 256GB SSD and 1 Tetra byte of hard disk is available at Rs 94,990 through Flipkart. Both models of the laptop run on Windows 10. The device has several features such as Wi-Fi 802.11 a/b/g/n/ac, Bluetooth v4.1, 1xUSB 2.0, 1xUSB 3.0, 1xUSB 3.0 with Power-off Charging, 1xUSB Type-C, 1xHDMI port, and a 2-in-1 card reader. Its size is 381.5×258.1×17.9mm and weighs 2.2kg. The laptop is back up by a I 4-cell 3220mAh battery which provide 10 hours of gaming, as per company. The main features of the laptop are dual front-facing speakers, one subwoofer, and a backlit keyboard. The device also comes with latest technologies such as Dolby Audio Premium, Acer True Harmony, and Acer Smart Amplifier. Previous Post What are nightly rituals for most successful people?